Owen joined Walkup, Melodia, Kelly & Schoenberger in April 2018 to assist survivors of the California wildfires in their quest for long term recovery in the aftermath of these devastating events. He pursues this goal with empathy and passion, working closely with impacted families and businesses to understand their rights and options, problem solve, and efficiently navigate what sometimes seems like an overwhelming process. Owen is often the first attorney that wildfire survivors speak with at Walkup. He explains how the litigation process is organized and helps clients evaluate whether litigation is the best choice for them. 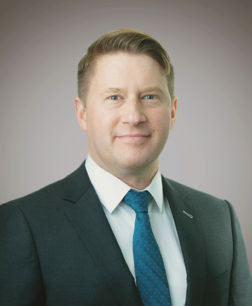 After clients retain the firm, Owen is available to answer questions, help overcome obstacles and work to verify and validate damage claims in a way that will be understood by the court. An experienced public servant and community organizer, Owen spent a decade working on public policy and social justice issues before entering the legal field. In 2006, he was appointed by Mayor Newsom to the Treasure Island Development Authority Board of Directors, and served two years as its President. In law school he specialized in environmental and public interest law, with a special focus on energy policy. Owen served as the Editor-In-Chief of the Golden Gate University Environmental Law Journal, and he filed comments to the CPUC in support of clean energy technology as an Environmental Law and Justice clinician. Owen is a board member of the Alice B. Toklas LGBT Club, a member of BALIF, and a volunteer attorney with the AIDS Legal Referral Panel. In his spare time, Owen is an avid hiker, a youth camp counselor, an updater for Usual Suspects – a daily round up of San Francisco political news stories, and an aerial acrobat.